If you’re a city dweller reading this post from your mobile device in a café somewhere, here’s a question for you. 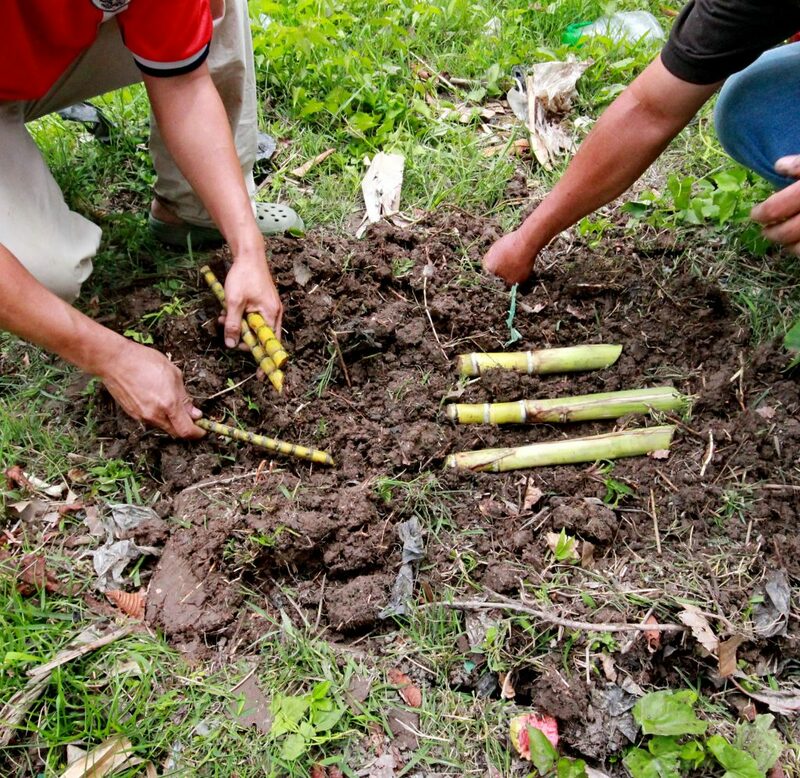 As you sip your caramel coffee and nibble on your sweet cake, do you know how sugar cane is planted? Most of us know what sugar looks like, and what sugar cane (the largest source of processed sugar) looks like, but have you thought about how sugar cane is planted and grown? 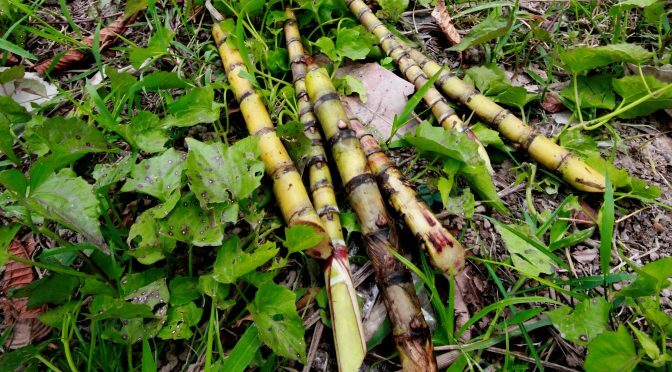 Considering that sugar is a big part of our modern lives – it’s everywhere from the most obvious things like cakes and soda drinks, to the least direct like in food preservatives and bottled sauces – it’s interesting how little we actually know about sugar cane. Trivia: Did you know – Malaysia’s richest man is a Sugar King? 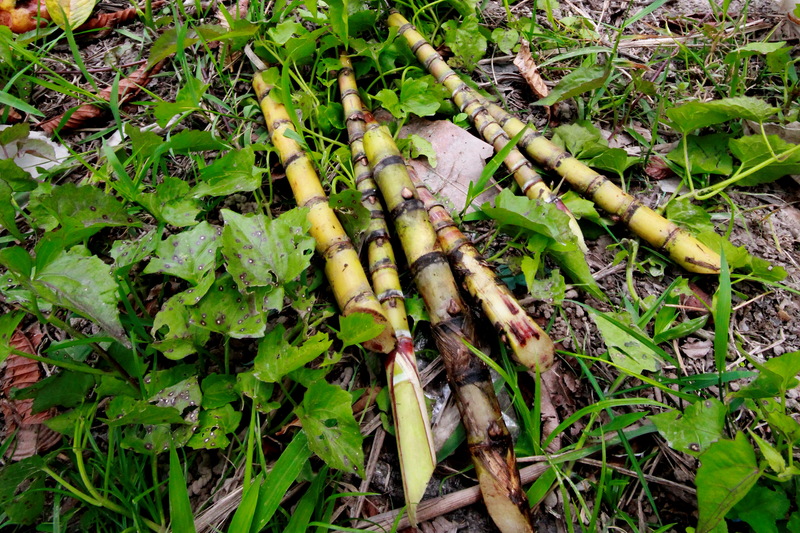 So, it might pay to know a thing or two about planting sugar cane. 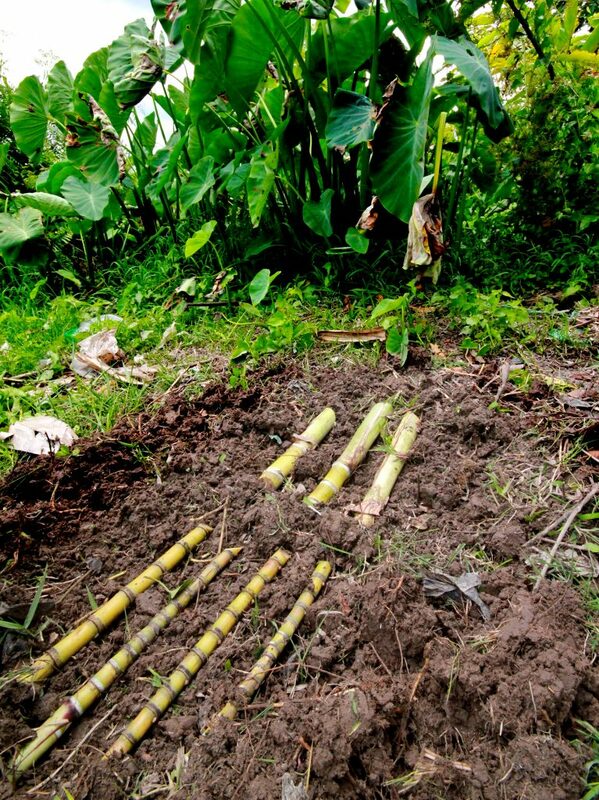 Hold your sugar craving, because this sugar cane is going to the ground. In theory, it seems elementary – put something into the soil, and it grows. Well, not really. Read the graphic instruction manual below. Prepare your sugar bed. Just lightly plough the soil to loosen the dirt. Set them down flat on the ground. No poking needed. Lay them flat down, as many rows as you can. …and that’s how it’s done. Cover it up with a bit of soil, water it, and… now we wait. Well, there’s actually a little more to it than four pictures, but at at least we get the general idea. 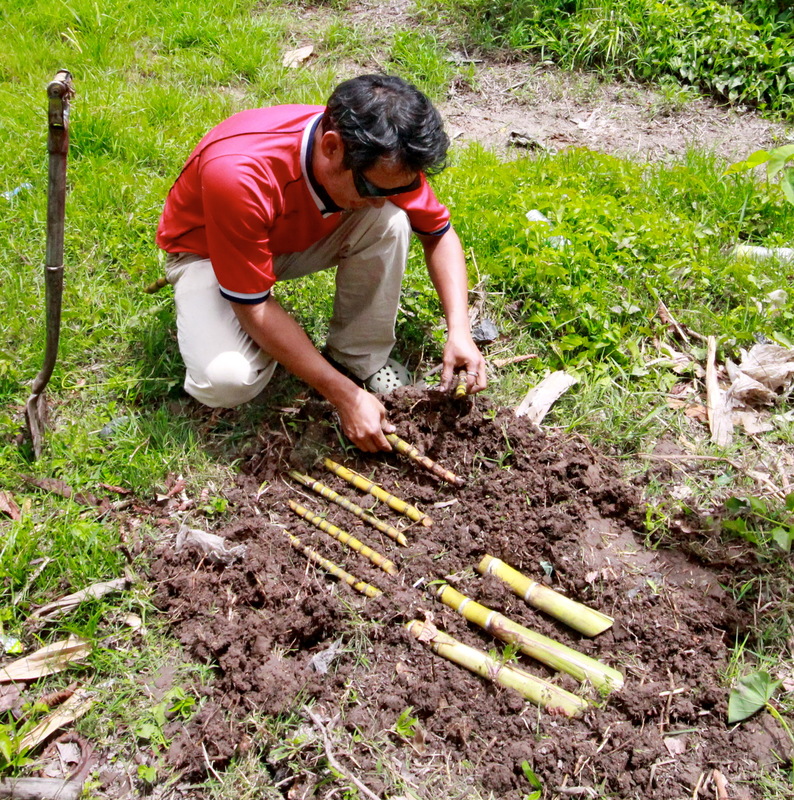 If you’d like to experience it yourself, and listen to the extra tips on how to plant and grow sugar cane, go on a Bario Farm Experience Tour. There are heaps of farming activities around, and a farming tour can be tailored to your interest. 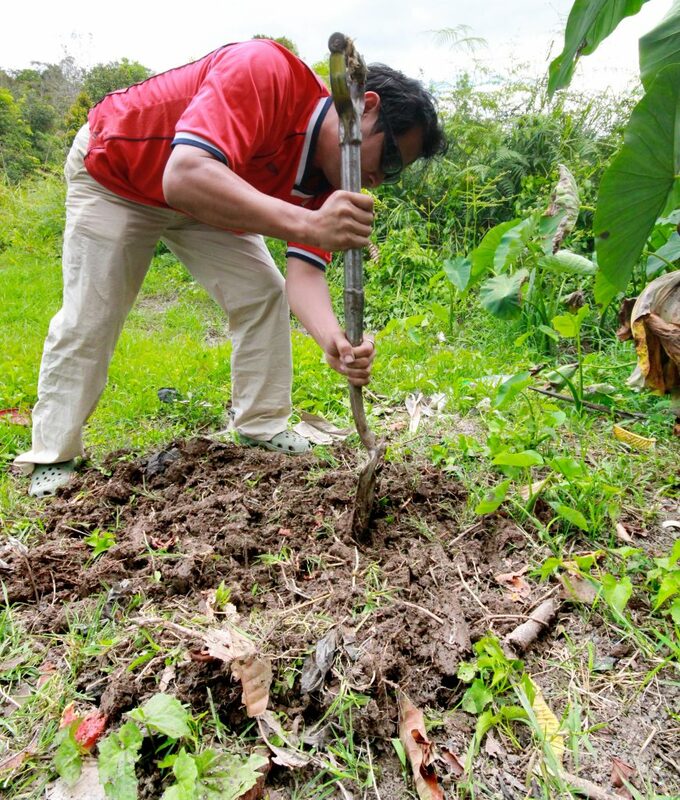 Plant your sugar cane well enough, and who knows, you could be the next richest man in Malaysia. But if you don’t make it to Sugar Baron level, at least you’ll have a nice glass of sugar cane juice at the end of this.